The Finnish solo-project rock act Orpo Piru released a live performance which includes only vocals and guitar performing four cover songs. The live video in the spirit of Halloween. (mass)Murderballads consist of four cover songs for the iconic names; Damngod, Slayer, Therapy, and Nirvana. 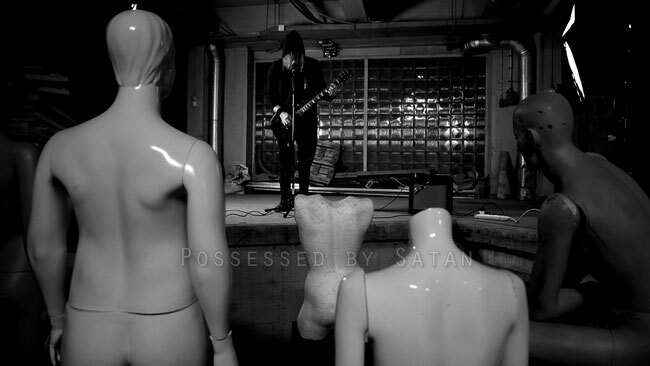 "The performance is executed in front of an inanimate audience man and guitar style in a super secret satanik location in southern Finland. No living beings were actually harmed during the the filming, everything was beautiful and nothing hurt." Last month, Orpo Piru released his debut music video for "Betelgeuze" from their new first album "A-Mortal Visions". "Betelgeuze" music video was produced in cooperation with Alpha Channel VFX. And the band stated more regarding its message says "The song created a transcendent feeling, -like floating through space."